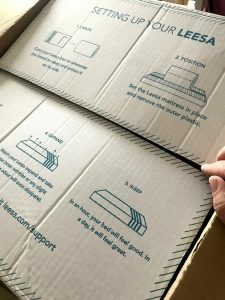 I have been given the opportunity to work in collaboration with Leesa Mattress to receive one of their matresses and to share my opinions with my blog readers. All opinions are entirely my own, honestly! As you can see Leesa gets the seal of approval from Garfield too! 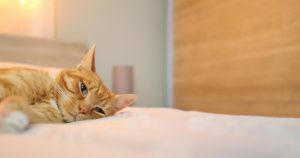 My husband and I had recently been discussing the comfortableness, or lack of it, of our mattress …. wondering if it was because we are now the other side of 50 and feeling our age…. or was it our matress? 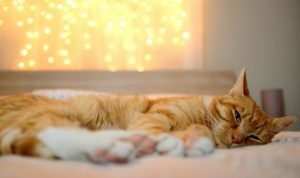 My husband can fall asleep within seconds, it takes me so long! Then I wake up too hot (the joy of this “season” of my life! ), toss and turn, wake him …. he then wakes early …. 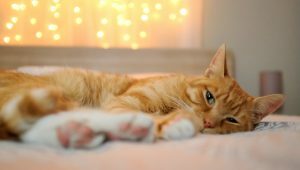 waking me! Neither of us ever really feel well rested. We were beginning to blame the mattress, or at least suspect it wasn’t helping. 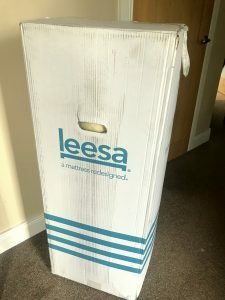 So the timing was perfect when Leesa Mattress then contacted me, asking if I would like to work with them and receive one of their mattresses to review. 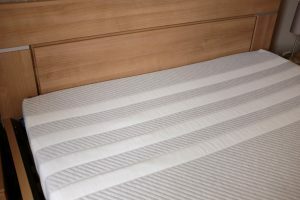 I was intrigued by how different this mattress could be, and what would it be like ordering it off the internet …. but actually the ordering process was very simple, and much less embarassing than that awkward lying down in a furniture showroom for all of 2 minutes. Here it is arriving – in a surprisingly compact box …. at first we doubted could the box actually contain a kingsize mattress or had we ordered the wrong size! The mattress doesn’t have that very soft sinking feeling of some memory foam. It is more squidgey and resistent that sinky – very technical terms here! Having been away and sleeping on a traditional matress it was lovely to come home to. Definitely cooler, with these warmer nights I would wake up very uncomfortable with our previous mattress. 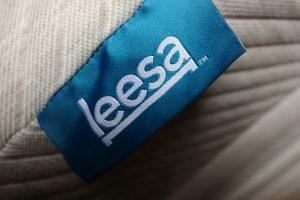 The Leesa premium mattress was designed to deliver comfort, support and pressure relief for extraordinary, cool, restful and restorative nights. The unique combination of performance foams adapt to all body types and sleeping styles. 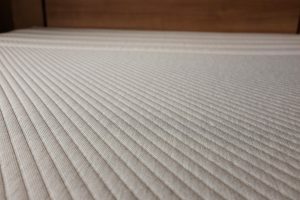 Here is how a Leesa Mattress is different from a conventional mattress or other foam mattresses …..
Universal adaptive feel – engineered with those 3 layers of premium foam materials which work together to adjust to the body of each individual, so it feels incredible whether you are a back, stomach or side sleeper. 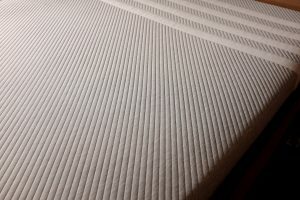 Leesa believe that the best way to try out a new mattress is by testing it in your home over a long period of time. 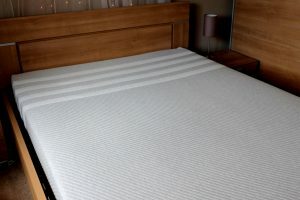 They offer a 100-night risk-free trial to all customers, meaning if you aren’t sleeping better, they can arrange for the mattress to be collected and donated or recycled, whilst offereing you a full refund. donated, when you buy from Leesa, you make a real difference. They also plant a tree for each order and donate employees’ time to volunteer in local communities. Even though there is a 100 day trial there is NO WAY I want to send this one back. Garfield doesn’t want it to go back either!